We offer two types of service. Our Full Management Option for landlords who would rather hand over the running of their property to Scott Owen or the Introduction Only Service for landlords who are happy to manage their own property but just need assistance to find the right tenant. - Rental valuation of your property. - Advertisement of your property. - Interviewing of your prospective tenants. - Deposit collection & placement into the custodial scheme run through the Deposit Protection Service. - Payment of your rent directly to your bank or by cheque. - Monthly rental statements detailing all costs and repairs. - Fielding of all tenant matters & queries. Unfurnished or furnished – A highly competitive % of the gross rent plus VAT. This will be deducted by us monthly from rental payments received. Commission rates are available on request. - Drawing up and exchange of tenancy agreements. - Admin fee for handling & arranging protection of your tenancy deposit. - Carrying out & drawing up the ingoing inventory. - Serving notice – where applicable. - Carrying out & drawing up the exit inventory. These fees are available on request. All fees are tax deductible and will be clearly detailed on your monthly rental statement for easy reference when completing your tax return. We will collect a deposit equivalent to one months rent prior to the commencement of the tenancy if you select our Full Management option. Under some circumstances we may advise a larger deposit. This will be discussed with you in the initial stages of selecting the tenant/s. Under the FULL MANAGEMENT SERVICE we will collect the deposit & arrange payment into the custodial scheme run by The Deposit Protection Service. We will also draw up the Prescribed Information and issue to the tenant/s within 30 days of collecting the deposit. You will be supplied with a copy of this document for your records. We will represent you at the end of the tenancy and will handle all of your obligations with DPS to ensure that the deposit is returned to the appropriate parties. The use of the scheme is free to landlords, agents and tenants. We do however make a small charge to cover our administration in handling this on your behalf. This fee, as with all our other fees, is tax deductible and will be deducted from your first months rent. We arrange collection and payment of rent on calendar-monthly basis to the owner with a statement showing commission deducted and any disbursements. Although we will make every effort to ensure that rent is forwarded with 10 working days of the payment being received we cannot guarantee payment within these times since delays may occur due to circumstances beyond our control. We cannot be responsible for any delays in receipt of Housing Benefit or similar or equivalent replacement from the appropriate authority and shall not be responsible for any determination, variation, suspension, termination or other circumstance whereby Housing Benefit is reduced and/or terminated and the arrears that arise shall be a matter between the landlord & the tenant. Tenants who are in receipt of housing benefit will be advised that we do not accept direct payment and that they are responsible to pay their rent in full on the day that it is due. We will only pay rent out to the landlord when we have received cleared funds from the tenant. We will compile an ingoing inventory of the contents and condition of the property prior to the tenant moving in and at the end of the tenancy we will prepare and exit inventory. There is a charge for these services. By prior arrangement we will make subsequent periodic visits to check condition & cleanliness of the property. We will report to you the findings from each inspection. This service is included in your monthly management fee. We will arrange for any emergency plumbing or repairs to be undertaken on the property for such sum as shall be reasonable in the circumstances considering the prevailing conditions without obtaining authorisation, such sum to be deductible from the rent collected or from the owner. Non emergency repairs will be referred to the owner when possible, but we reserve the right to uphold the landlord’s statutory obligations in this respect. We will arrange for a Gas Safe registered engineer to carry out the annual gas appliances check. This cost will be payable by the landlord. - Collection of the first months rent. - Agreement on the payment method for future rent payments. - Assistance in arranging a suitable time for tenant/s to pay the landlord their deposit prior to commencement of the tenancy. Unfurnished or furnished – A Competitive % of the first months gross rent plus VAT. This will be deducted by us from the rental payment received. - Optional carrying out & drawing up of the ingoing inventory. These fees are available on request. All fees are tax deductible and will be clearly detailed on your Introduction statement for easy reference when completing your tax return. We will assist in arranging a convenient time for the Tenant to pay the deposit direct to the Landlord, in cleared funds, prior to the commencement of the tenancy. If you select the Introduction Only option we will not be involved in handling the deposit. 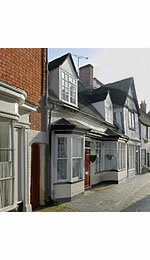 It is the landlord’s responsibility to protect the deposit within 30 days of receiving the deposit. You must also advise your tenant/s that you have arranged protection of the deposit using the correct Prescribed Information format. To advise the tenant you must follow the prescribed form set out in the Statutory Instrument 2007 No. 797 The Housing (Tenancy Deposits) (Prescribed Information) Order 2007. Scott Owen cannot be held responsible for failure by the landlord to comply with the Tenancy Deposit Legislation. Insurance Based Scheme - www.mydeposits.co.uk. Insurance Based Scheme - www.tds.gb.com. Further advice on the legislation is available at: www.direct.gov.uk. If you have already registered with the Deposit Protection Service custodial scheme and supply us with your unique Landlords ID reference then we can collect the deposit on your behalf. If you provide your ID reference before we commence sourcing a tenant, then we will be able to handle your deposit & submit the deposit to the DPS under our Agent’s ID. Following submission and confirmation that the deposit is active, we will make an immediate transfer of the deposit to your Landlord’s ID. Under these circumstances the landlord is still responsible for providing the tenant with the prescribed information within 30 days of Scott Owen collecting the deposit. The tenancy agreement will state that the Landlord is responsible for the deposit and under the legislation the landlord is ultimately responsible for protecting the deposit.